You can easily use Menulux Mobile App from smartphones and tablets with Android and IOS operating system. Menulux cloud computing platform allows you can easily remotely manage your mobile app by accessing all of your information from an internete connected computer, laptop or smartphone. 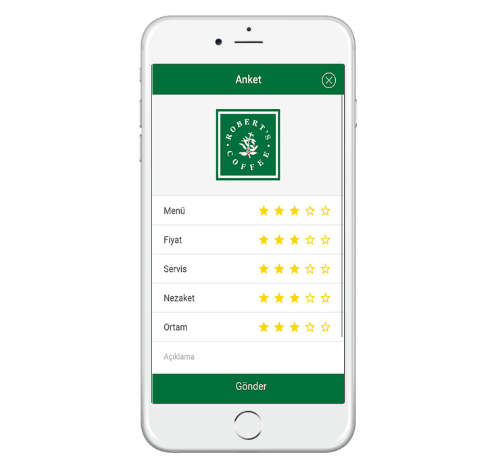 Menulux Mobile App, restaurant, cafe, bar, tea garden, etc. provides you with an easy-to-use mobile app service for your business. 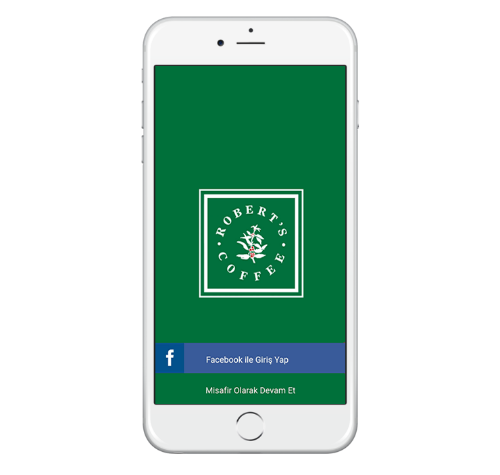 Get your brand one step ahead with your custom mobile order application! 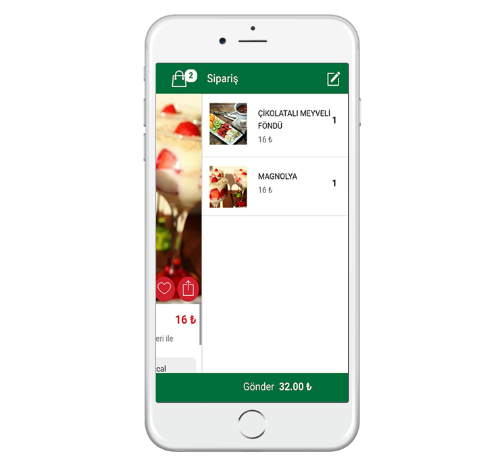 Give your customers access to price and content information from their smartphone or tablet, with their visuals, to your menus. Your customers can look at pictures of your business from the picture gallery and be aware of your campaigns. Your customers can add their favorite products to their favorites and they can share one click on social media. Begin to use the easy-to-use, advanced management panel, where you can manage all the content of your application. Create your gallery, identify your categories, and add remarkable product visuals and content. Promote your campaigns and promotions to your customers. If you wish, you can add new products, remove them or change prices. Your customer may have information about menus and prices before they come to the restaurant, they can decide on their way to their orders. With the mobile app, your customer can easily find you from your location on the map and your address information. Your customers can place an order by phone or on a shopping cart through the mobile app. Promote your brand to everyone with better quality and higher standards service. It includes survey service where you can receive feedback on your customers' opinions and assessments. You can follow the customer satisfaction about the menu, price, service, kindness and environment on this page. Your mobile app is ready for instant service for smartphones and tablets with Android and IOS. Your customers can start using it right away by downloading your app through the App Store and Google Play. Create your mobile app in minutes via the Menulux Portal central management system and start using it now.